Hayes, with a population is just over 7,000, is just to the South of Bromley and is where Lanes School of Driving’s Head Office is based – directly opposite The Ravensbourne School. Hayes name dates back to 1177 from the Anglo-Saxon word “Hoese” which means “a settlement in open land overgrown with shrubs and rough bushes”. 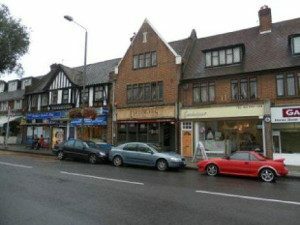 Hayes Village was at the junction of Hayes Lane and Pickhurst Lane and connects Bromley and West Wickham. Lanes School of Driving was first set up in 1914. Ever since, generations of locals have learnt to drive at Lanes. Over the years Lanes has established an excellent reputation as a leading driving school. At Lanes, the needs of each pupil are carefully considered. Our courses are specially designed to suit each individual. Lanes offer intensive driving courses to fast track pupils to driving proficiency. Theory lessons can be combined with practical lessons, or taken separately. After passing their driving test, pupils can take more advanced after pass courses. These include: Advanced Driving, Pass Plus, Motorway Driving, and Parking Skills. Lanes caters for pupils who have busy schedules. Pupils have total flexibility regarding when their lessons take place. Regular weekly lessons are the most popular option, but single lessons can also be arranged. Lanes is committed to providing instruction of the highest quality and for this reason pupils are always given one on one tuition with their instructor. Lanes has a fine selection of classic cars for pupils to enjoy. Pupils can request home pick up for every lesson and will of course be driven home afterwards. Lanes have been providing driving lessons in Hayes, Bromley, BR2, London for many years. Please call us today on 020 8166 5678 or click here to send us an email via the contact page. Lanes have over 40 driving instructors available. Pupils can select the instructor they prefer. Our instructors have experience in teaching students from age 17 to age 70. Our instructors understand that pupils may feel nervous and will offer guidance and reassurance. Lanes’ instructors are fully qualified Approved Driving Instructors and are each registered with the DSA. Pupils will stay with the same instructor throughout their course to ensure the best learning experience. Lanes have a team of driving instructors in Hayes, Bromley, BR2, London. Please call us today on 020 8166 5678 or click here to send us an email via the contact page. Lanes is well aware of how anxious pupils can feel when placed in the driving seat for the first time. Often, female pupils will not want to be matched with a male instructor. Lanes allows female pupils to choose a female instructor if preferred. Our female driving instructors take a calm and relaxed approach to teaching. Pupils will be sure to feel at ease and unpressured. Lanes have a selection of female driving instructors in Hayes, Bromley, BR2, London. Please call us today on 020 8166 5678 or click here to send us an email via the contact page. Many pupils prefer to learn in an automatic car. Manual cars have their advantages, namely greater control and precision. That said, beginners can be daunted by the complexities of manual driving. With automatic cars, beginners are free from the challenges of manual gear change and clutch control. It is our experience that pupils progress much faster in automatic cars. Lanes have a selection of automatic driving instructors in Hayes, Bromley, BR2, London. Please call us today on 020 8166 5678 or click here to send us an email via the contact page.